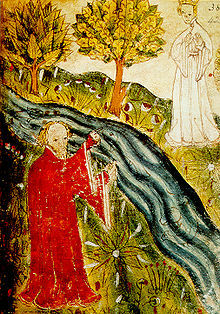 or the "Gawain Poet", is the name given to the author of Pearl, an alliterative poem written in Middle English. Its author appears also to have written the poems Sir Gawain and the Green Knight, Patience, and Cleanness; some scholars have suggested he may also have composed Saint Erkenwald. Save for the latter (found in BL-MS Harley 2250), all these works are known from a single surviving manuscript, the British Library holding Cotton Nero A x. This page was last edited on 9 April 2018, at 04:58.